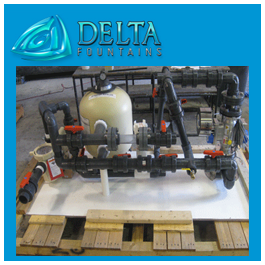 The Delta Fountains Filter Pump Skid comes pre-plumbed and ready for installation. 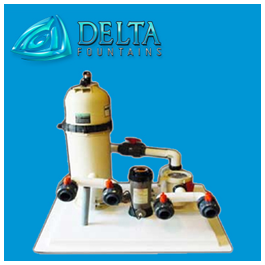 Mounted on a fiberglass skid base, the filtration equipment, including Sand Filters, Cartridge Filters, Filter Pumps, Chemical Feeders, Valves, and Manifolds may be mounted in fiberglass vaults or mechanical rooms. 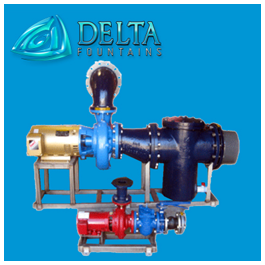 Skid assembly sizes and components are specific to each customer request and project requirements. 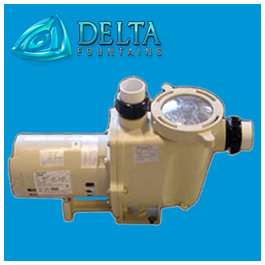 Contact us to discuss the specific filter skid your project may need.